When it comes to so-called "legacy" acts of classic rock, it's typically pretty easy to tell which bands are on the road for the love of the music and the fans, and which bands are on the road for maybe both those things — but more for the paycheck. The former look good, sound good, interact with the crowd in ways that at least seem sincere, while the latter are just going through the motions, or clearly don't have the vocal or musical chops to really be on stage night after night. The former have at least a majority of their most recognizable lineup intact, while the latter might be, say, Ratt's drummer and four other dudes. 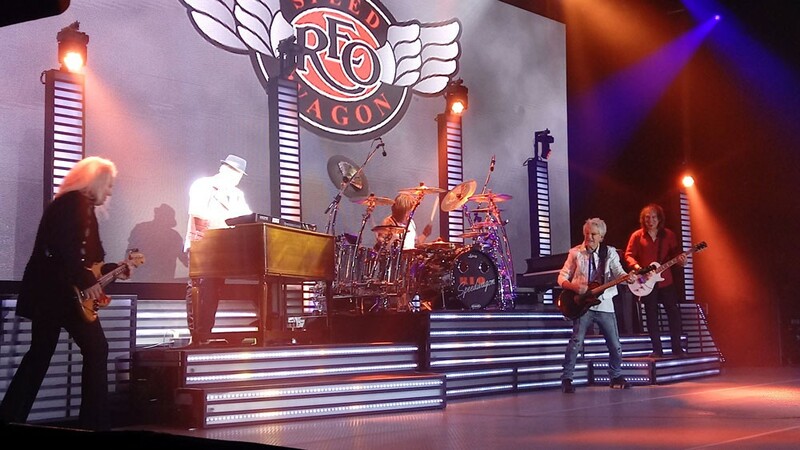 All that is prelude to saying, more simply, REO Speedwagon are clearly pros who still love what they're doing after 50 years together, judging by their sold-out show at Northern Quest Resort & Casino Thursday night. 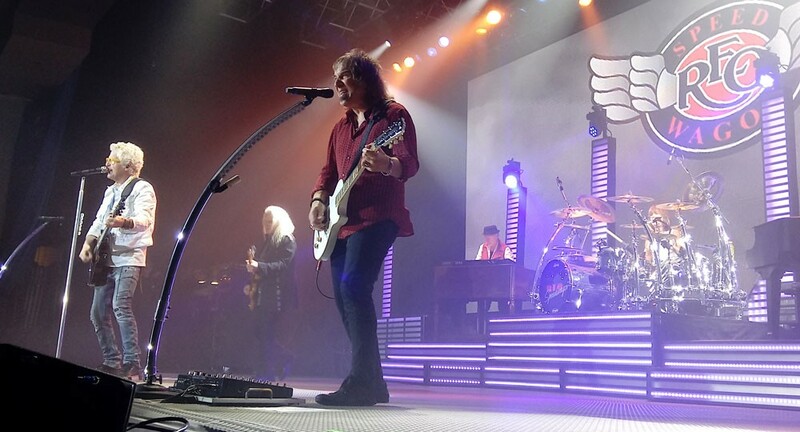 They played their hits, they rocked out a bit (mostly thanks to ace guitarist Dave Amato — the "new guy" who was the last new addition to this lineup 30 years ago), and genuinely seemed to enjoy playing together, and for their fans. Singer Kevin Cronin, keyboardist Neil Doughty and bassist Rich Hall have all been in the band since before its commercial heyday in the late '70s and '80s, and Amato and drummer Bryan Hitt have been around since the late '80s, so these dudes are locked in as bandmates and performers. They have the familiar stage moves — hey, everyone with a guitar, front and center NOW! — and the tried-and-true banter ("We love coming to Spokane!"). They also have some monster-sized hits in their catalog, and they didn't miss many of them over the course of their 90-minute show that opened with "Don't Let Him Go" and ended with a final encore cover of Tom Petty and the Heartbreakers' "Listen to Her Heart," which Cronin dedicated to his old neighbor Petty. In between came a bunch of songs still filling classic-rock radio, from "Take It On The Run" to "Ridin' The Storm Out" to "Roll With The Changes." Amato was an ace all night, delivering some great solos and adding harmony vocals throughout; his slide-guitar workout on "Keep Pushin'" was a show highlight. Cronin's voice remains pretty strong — always a key to enjoying one of these oldies shows. 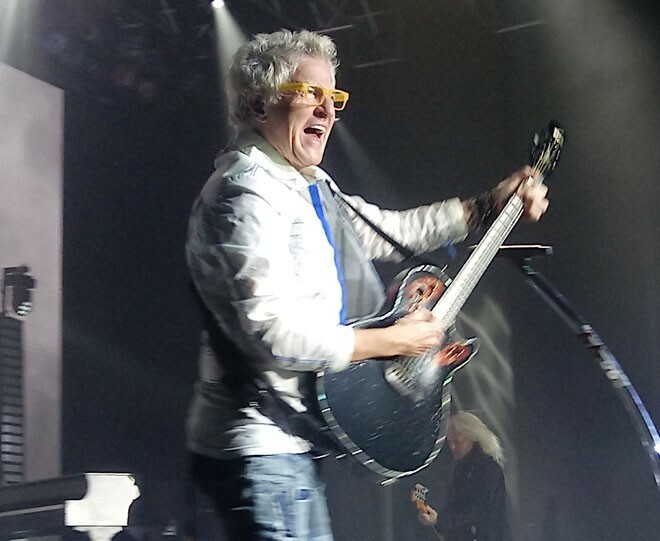 His energy on "In Your Letter" revealed that song to be a underappreciated REO gem, although the high notes of "Can't Fight This Feeling" were a bit out of his range, so he wisely asked the crowd to sing along — as if they weren't already.